Before you throw stones (or beauty wipes) at me for not including your favourite brand, please know that this list came from Ealuxe.com. I’m fairly new here and my blog is really a baby. I love makeup but I don’t pay particular attention to the price really. I have sensitive skin and my very first makeup/skincare products were from VMV and Clinique which my mama bought for me when I wa sin high school. 10. SMASHBOX – The treasure is in the oil that they put in their makeup formulation to keep skin clear. It’s now owned by Estée Lauder. 7. ELIZABETH ARDEN – In 1946, Arden was one of the first women to be featured in the front cover of TIME magazine. Arden made a name by opening a spa, giving beauty and skincare advice and delivering quality cosmetics to women. 6. ARTISTRY – They use unusual fruits from Africa and plants from the Mediterranean to produce quality makeup products. The cost is justified by the high performing makeup and skincare that they deliver to the market. 5. ESTEE LAUDER – Glam and glitzy – that’s what Estée Lauder is. It’s the first company to ever have a second line of personal care products that cater for MEN and is the parent company of many famous brands like Smashbox and MAC. 4. MAC COSMETICS – The MAC concept was really designed for professional makeup artists because of its simplicity and wide variety of colours. 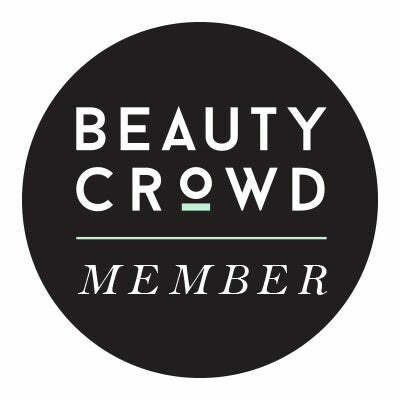 It became an aspirational brand and today, it’s accessible to makeup enthusiasts like us. 3. L’Oreal – Headquartered in the country of style and glamour (France) with total assets valued at €28.219 billion (end 2013), L’Oreal is undoubtedly one of the most expensive products in the market. Chanel offers a variety of product lines including bags, clothes, shoes, fashion accessories, and of course, makeup! In terms of product pricing, Chanel tops this list. Which of these brands do you have? When you buy makeup, which one do you think of first — fame or quality? What other makeup brands do you think should be included in this list considering the price range? I love Chanel products! The companies are rich but they are some expensive brands in stores like Shiseido which is way more expensive than Chanel. I also think of crazy expensive skincare like La Mer. Who can afford to put more than 150€ in a moisturizer??? I wonder how they decided this! I can think of lots of brands that are more expensive than the likes of L’Oreal and Mary Kay like NARS, Lancome, YSL, Bobbi Brown, Guerlain…the list goes on! Ahh, I see! I think my NARS highlighter is my most expensive item. I haven’t tried most of those brands, was just thinking of the counters in a fancy department store near me haha. I use Chanel, MAC and Estée Lauder mostly from this list. I haven’t tried the others except loreal though. Nice post! Thank you harrietemilys! Do you know other brands that are expensive but aren’t on this list? YES! I like some YSL products too! touche éclat is a miracle – I can’t go a day without it!!!! I never heard of Oriflame before !!! Nice info 🙂 To answer your question : Quality all the way!!! Me too! I use makeup that keeps my skin healthy regardless of the price! Some other brands I love are Laura Mercier, ELES Cosmetics, Clinique, VMV, Happy Skin..